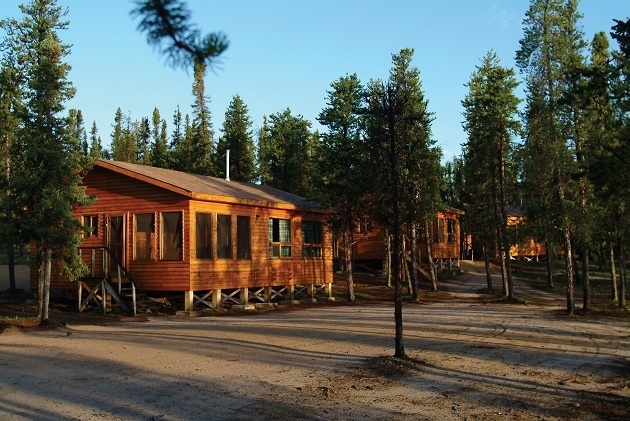 Gangler’s North Seal Wilderness Lodge – The Great Canadian Travel Co. Discover a world you never knew existed; the 59th parallel, Land of the Eskers and the pristine North Seal River in Manitoba, a Canadian Heritage river. Explore the region’s geologic attractions, history, wildlife, flora and fauna for an unforgettable wilderness experience. Prices are shown in CA$, per person, based on two people sharing a twin room. A limited number of rooms may be available for single use. Please inquire. Arrive Winnipeg from your home city. A Gangler’s expediter will meet you at the airport and take heavier bags to load on to the charter flight. Book yourself for an overnight stay in Winnipeg or ask us to arrange it for you. We recommend The Grand Hotel Winnipeg Airport or the Four Points Sheraton, both conveniently located right across the street from the arrivals level of the terminal building. Early this morning at 4:45am you will be picked up from the hotel by the Gangler’s expediter and transferred to the charter terminal. 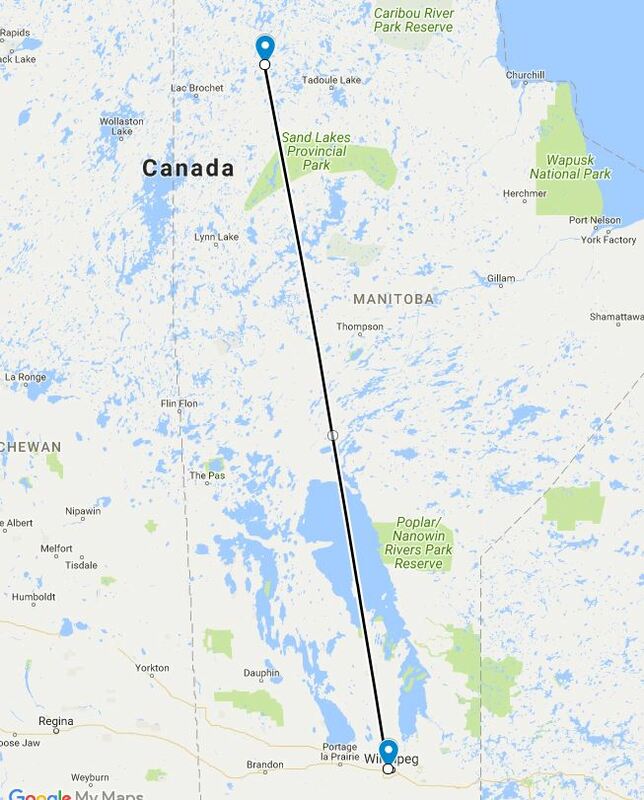 Board your charter flight for departure at 5:30am and travel north to Gangler’s Lodge, located on the North Seal River in Northern Manitoba. You will arrive at the lodge between 8:30-9:00am. You will make your way from the lodge’s airstrip to the lodge. If special assistance is needed please advise us in advance if possible so we can advise the staff at the lodge. Your bags will be delivered to your cabin. There will be a breakfast/brunch in the lodge with a short introduction of the lodge. You have a choice of optional activities to take part in for the afternoon. Hors d’oeuvres will be served in the lodge, followed by dinner at 7:00pm. 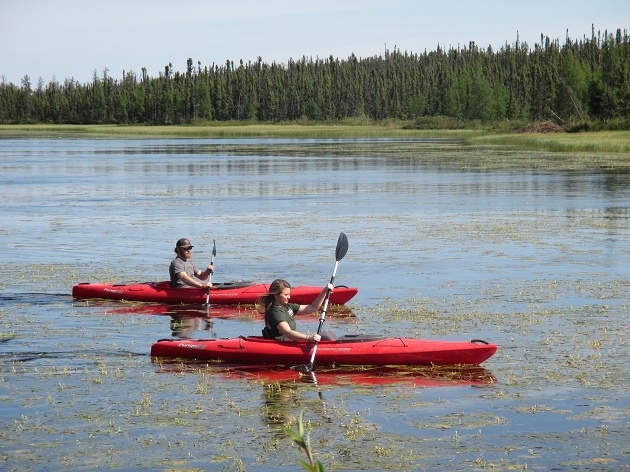 Enjoy your choice of optional activities offered, such as mountain biking, kayaking or canoeing, wildlife viewing tours, history tours, fishing or add-on a float plane tour (extra cost payable locally). Hors d’oeuvres are served in the lodge daily at 5:00pm, with dinner following at 7:00pm. You may wish to take part in an evening tour, as offered. This morning you will enjoy breakfast in the lodge before preparing your baggage for pick up from your cabin. Once the charter flight arrives in from Winnipeg you will board and, once your baggage is loaded, you’ll depart for Winnipeg. Transfer to the main Winnipeg International Airport terminal to check-in for your flight back to your home city. This tour can be combined with one of our Churchill Beluga Whale Watching tours, with a visit to Churchill before you go to the lodge or after your stay at the lodge. This tour combines the wilderness lodge experience with beluga whale watching tours from the town of Churchill, on the shore of Hudson Bay. You might also sight Arctic fox, Arctic hare, ptarmigan and snowy owls and sometimes even the odd polar bear that hasn’t gone out onto the tundra for the summer. The Gangler’s North Seal Wilderness Sub-Arctic Adventure is also available as a 10 day/9 night program requiring 1 night of accommodation in Winnipeg (not included in the package price, but can be added on request) and 8 nights at the lodge. Please inquire for details, dates and pricing. 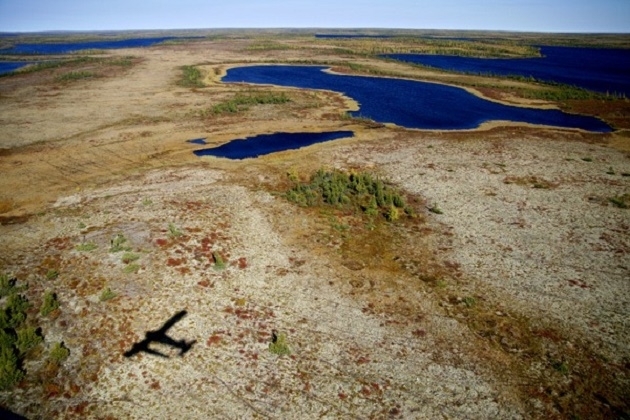 Located in the ‘land of little sticks’, 60 miles south of the treeline and the Nunavut border, this incredible area is only accessible by airplane. A unique mix of diverse habitat and water, it is Manitoba’s prime location for the amazing sand eskers, as six eskers transverse this area including the historic Robertson esker. Gangler’s North Seal River Lodge, Manitoba’s only Orvis endorsed lodge, is based on Egenolf Lake, a main juncture for the North Seal. This is the epicenter of Gangler’s exclusive 5 million-acre concession with over 12 rivers and 100 lakes. The lodge offers a multitude of experiences to choose from. 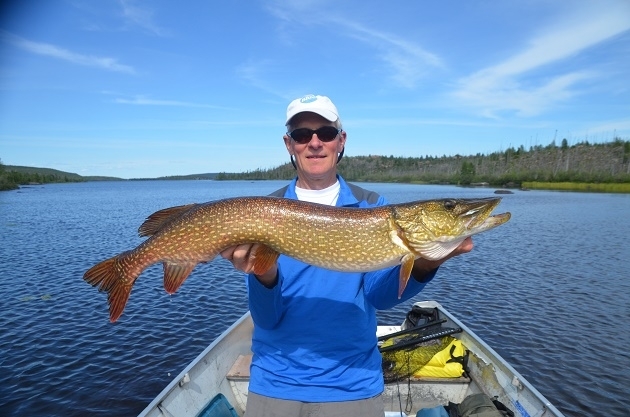 Enjoy a day of incredible fishing including an amazing Canadian shore lunch, learn to fly-fish, kayak and canoe, hike, take an amazing ATV ride on an esker, amazing photo opportunities, even ride a mountain bike on the eskers. 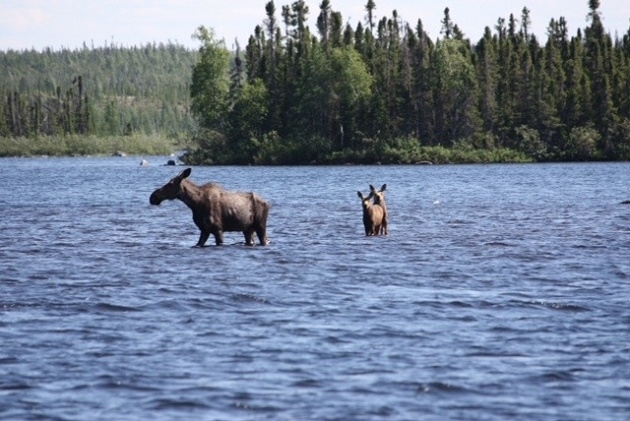 You will see wildlife with black bears, moose, wolves, wolverines, eagles, loons and more. Enjoy our bear and wolf viewing areas. 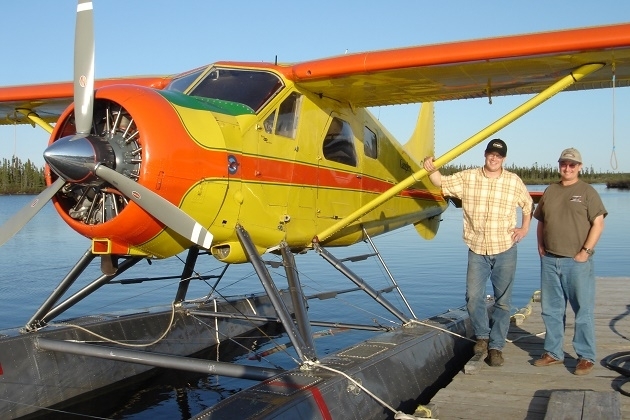 Take a floatplane ride on a classic De Havilland Beaver. Walk in the footsteps of ancient explorers, learn about local Cree and Dene cultures and history and see historic archeological sites. Other exciting optional side trips are available. Walk where few men have walked before. This truly unique destination offers amazing experiences you will cherish forever. The North Seal is located at the very top of the transitional Sub-boreal forest. It is beautiful country easy to hike and explore, almost like manicured Parkland. Explore our vast territory and see all the wildlife this area is teaming with such as bear, moose, wolf, otter, eagle, osprey and more. Whether you desire beautiful vistas and scenic panoramas, or our resident North Seal wildlife, you will have endless opportunities for World-class photography. Feel free to relax and immerse yourself in the beauty of the North Seal with a kayak or canoe trip. Comfortable, Clean, Civilized Accommodation in a Beautiful, Serene Setting. One extremely important intangible in a wilderness lodge is size. 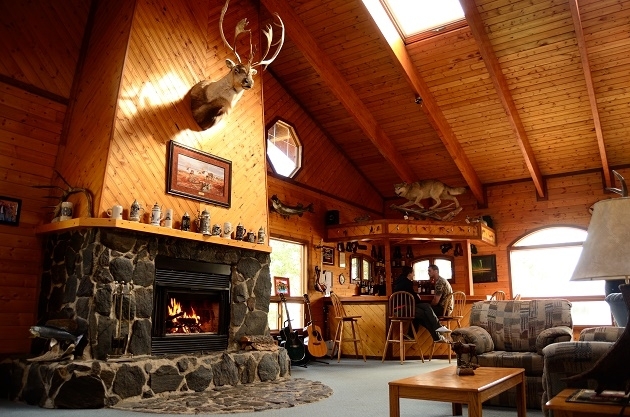 Many Canadian lodges hold 40,50, even 60 people. As nice as they may be, it just doesn’t make sense to us to fly to a remote camp just to settle in with another horde of people. That’s what guests are trying to leave behind. If leaving the dock in the morning resembles rush hour in Chicago, what’s the point? Gangler’s Lodge has made camp size a priority and their philosophy is to keep their camps small. By limiting the main lodge to only 24 guests each guest is ensured the personalized attention he or she deserves. Each camp is designed to be unique in layout and flavor and all accommodations are 5 star and recognized as the finest in the North. The North Seal in itself is an exquisite experience. The ‘Land of Little Sticks,’ it has a beauty that is unique. We are now offering at the main lodge an amazing assortment of experiences to add to your stay. Canoeing, kayaking, esker tours, bear and wolf viewing, photography, birding, mountain biking, nature tours, your choices are many. Whether you are at Gangler’s on a fishing trip or an adventure experience, enjoy the full flavor of the unique North Seal region in a trip we will customize to your wishes. The North Seal River region of Northern Manitoba has long been heralded as one of the last remaining pristine areas in North America. Located almost 200 miles from the closest road, this area is accessible only by airplane, and primarily by floatplane. Designated a protected Canadian Heritage River system, it is a confluence of 12 other rivers and drainages merging into the North Seal as it winds its way to Hudson Bay. It is a unique, beautiful area and its uniqueness is a natural to enjoy by mountain bike. The key feature to the NSR area is the sand eskers. Sand eskers are unique, geological formations formed by run-off from the rivers under glaciers that long-ago dominated this area. Rising 200-300’ in the air and running continuously for tens of miles, they are a natural travel route for the moose, bear, wolves, and other animals that call this area home. This terrain is ideal for exploring by mountain bike. The surrounding area is the last vestiges of the Subboreal transitional forest. Resembling a fine parkland manicured only by Nature’s hand, it is perfect for offshoot explorations and side routes. To access this remote frontier requires a 5 star outfitter, ensuring exploration at its finest level with professional expertise. Ganglers, renowned with over 30+ years of outfitting in the remotest reaches of Northern Canada, is the ONLY outfitter qualified for this challenge. Ganglers is offering two adventures, one for the intermediate traveller and another for the more adventurous. World-class mountain biking, mixed with incredible fishing, scenery and wildlife viewing. A once-in-a-lifetime experience. This will be an adventure you will always cherish! 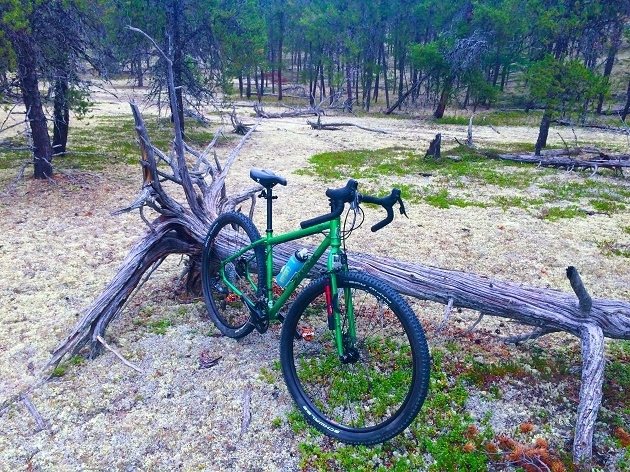 Salsa Fat tire bikes offer an enjoyable escapade through the Northern forest and Eskers. Enjoy the pristine, unspoiled beauty of this region as nature intended. The North Seal area has miles and miles of river and lake to safely explore by kayak and canoe. Take a 2 1/2 hour trip from the main lodge to mouth of the river which enriches Egenolf Lake. Paddle next to an actual Beaver house. For the more adventurous, let us know what you desire- we are sure the miles of North Seal River will satisfy your adventurous spirit. A relaxing treat with a short and easy kayak trip down the back river of Egenolf Lake. Pass by an actual beaver house. A peaceful way to enjoy the Canadian waters from the lodge. Travel the sand eskers, our unique geographical feature, the basis of our Northern ecosystem. Travel by mountain bike, hike, or enjoy our Polaris Ranger as we take you on a tour into this subarctic wilderness. Some eskers run a continuous 20 miles or more. A trip down the lodge esker by Polaris Ranger extending several miles. 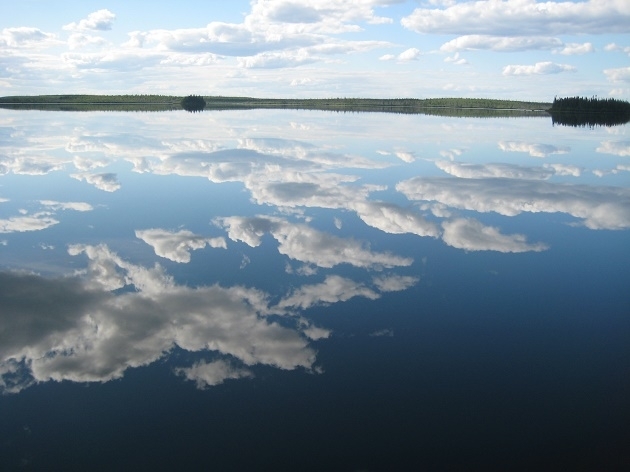 A chance to take in the beautiful views and varied terrain of Northern Manitoba. We will explain how the eskers figure prominently into the local wildlife along with spotting sign of them. Enjoy learning about the fauna and history of the prehistoric area. We will show you the travel routes the aboriginal people used in their ancient hunting and later on, trapping routes for the first European traders. Egenolf Lake was named after Father Joseph Egenolf, a missionary priest who traveled these routes in the first part of the 1900s by freighter canoe as he visited the local people. A tour of the lake and explanation of the various archeological points as this lake and the surrounding eskers were used by ancient hunters. An actual trappers cabin built and used by one of our guides who has trapped this area for over 40 years. 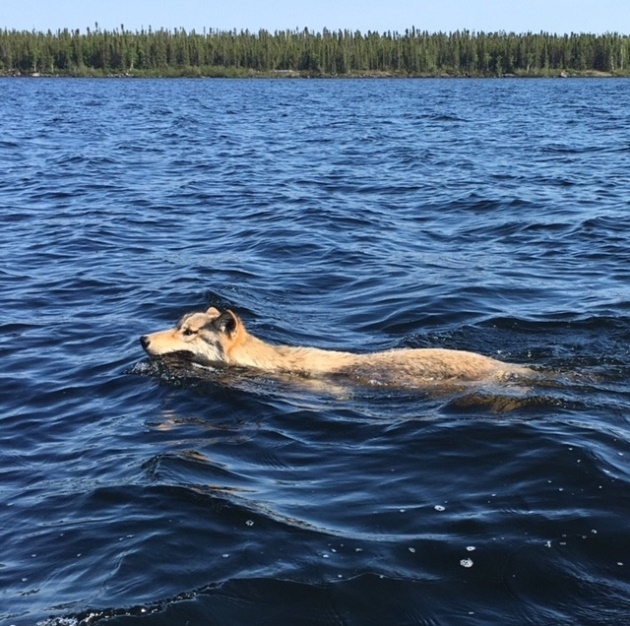 The North Seal boasts a plethora of wildlife. Enjoy seeing bear, moose, wolves, wolverines, martens and more. Enjoy our special wolf and bear viewing areas. A serious birder will have a field day enjoying the Northern species. A designated viewing site where local black bear come in to feed. The pack stirs as the Northern evening sets in. Maybe you will be fortunate to enjoy a visit at this remote site! The ‘Aurora Borealis’, a spectacle everyone should experience at least once in their life. The ‘lava lamp in the sky,’ never fails to take your breath away. Best times for viewing are August and September. Whether an avid fisher person or a newcomer to the sport, the world-class fishing action of the North Seal will dazzle anyone. Highlighted by the true Northern delicacy, your guide will expertly make you the fresh-caught Canadian shore lunch. Instruction from our Orvis endorsed staff on the beautiful sport of flycasting. 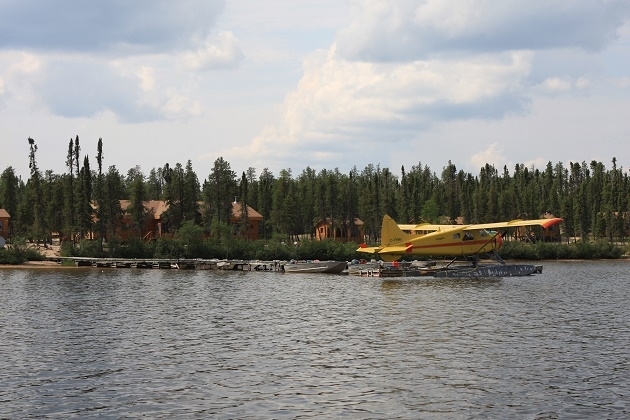 A slice of the North with a floatplane trip around Egenolf Lake where you can see some of the North Seal River- a Canadian Heritage River- and some of its 100 lakes and 12 river systems. Flyout to your own personal lake for the day, accompanied by your guide, as you enjoy the most remote of fisheries and habitats. A trip 90 miles to the North, 1 mile from the Nunavut border, as you examine the beautiful Canadian tundra.